Do you want to play exciting 3D slots and table games while earning a 3 BTC (almost $1,000) deposit bonus? Stupid question, am I right? Of course you do. 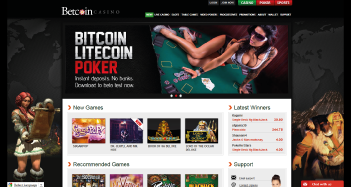 And Betcoin Casino offers this… and a tad more. Playing at Betcoin Casino can be a very rewarding experience if you play your cards right. Another thing I’m excited about – their deposit bonus. 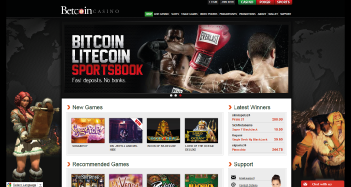 Promotions are hit and miss at bitcoin only casinos and sportsbooks. Let alone one of this size. Right now Betcoin is offering a 3 BTC match bonus. This is spread out over 3 separate deposits. 1st Deposit – This is a 100% match bonus up to 1 BTC. 2nd Deposit – This is a 50% match bonus up to 1 BTC. 3rd Deposit – This is a 25% match bonus up to 1 BTC. Each bonus comes with 1 free spin, too – so 3 total. Keep in mind you’ll have to complete the play through requirements of one bonus before moving on to the next one. Or run out of money. The play through requirement is 29x the deposit –and– the bonus. And it looks like the offer is only valid for slots, keno, scratch tickets and other high house -edge games. 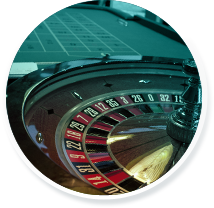 One thing that excites me about their casino – the thing that excites me the most – is they’re powered by BetSoft. 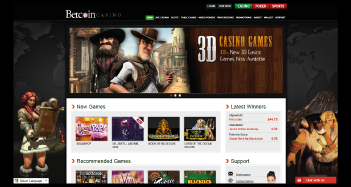 BetSoft is an emerging player in the casino software space – and leader in the 3D gaming space. They have more than 140 games. They have it all – slots, video poker, table games and several blackjack variations. Slots – 20+ machines – Some of their titles include Invaders, The Bees!, Chase the Cheese, Out of this World!, Lucky 7 and Mr. Vegas. 3D Slots – 45+ machines – Some titles include Aztec Treasures, The Glam Life, Mad Scientist, Heist, Mr. Vegas, Tycoons, Arrival and Rockstar. Video Poker – 20+ machines – Take your pick from Double Jackpot Poker, Jacks or Better, All American, Deuces Wild, Five Card Draw, Double Bonus Poker and Bonus Poker. 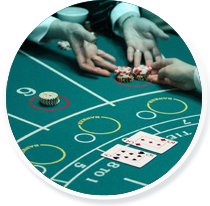 Table Games – 15+ games – Play games like Baccarat, Roulette, Caribbean Poker, Craps, Red Dog, 3-Card Poker and Pontoon. Soft Games – Their selection includes Scratcherz, Keno, Instant Keno and a Virtual Racebook. Live Casino – 12+ games – Have games dealt by beautiful women. Your choices include Baccarat, Roulette and Blackjack. Their 3D slots are the best. Really. I’m not a slots type-of-guy. My wife forces me to play them. However, I played these because I want to. What I like about their slots are the themes. You can play titles like Greedy Goblins or Mad Scientist. Each theme will have fun bonus rounds and cut scenes. The cut scenes are like mini animated TV episodes or commercials that play to the theme (and sometimes the story line). So… whether you love slots or not… give these a shot. I think you’ll like them. If you need more financial motivation you might consider their progressive jackpots. Remember – You’ll need to wager the full amount for a chance to win the jackpot. But you have the option to wager anywhere from .25 to 500 credits on any of their games. So there’s plenty to do, no matter your budget. And… if you get tired of the casino (which I don’t think is possible), you can always try out their sportsbook or poker room. Betcoin appears to be a solid site. And I couldn’t find any major or legit complaints. In fact, the stuff I did come across was promising. People really enjoy the site. Damn… is all I could say. I have been waiting for a gamming site like this for quite some time… No more damn dice, pyramid, gaia, and low graphic games! I have not found a site with this much selection yet. This is better then a casino floor! I give them an A-.